Hybrid technology has finally reached motorcycles – the MP3 Hybrid has an electric motor that can assist the petrol engine or run as a standalone engine. But sadly it’s not quite ready to provide a viable alternative yet – price is expected to be high and the electric assistance isn’t good enough. Doubt has been cast over the green credentials too. The extra weight makes the MP3 feel top heavy, and although the three-wheeler’s chassis is essentially the same, it doesn’t feel as sure-footed. The electric engine on the end of the rear wheel spindle means the centre stand hangs out further, compromising ground clearance somewhat. Common to many Piaggios, suspension action is crude. 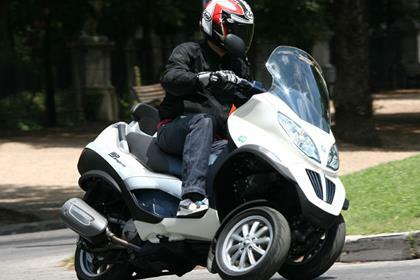 The MP3 is a heavy scooter anyway – the Hybrid version adds 30kg. So you have 14bhp and a small electric engine trying to move 249kg of machine – predictably progress is slow. The ‘Hybrid Power’ combines the most electric assistance with the petrol motor, but range is just 24 miles before the battery goes flat. ‘Hybrid Charge’ partially recharges the battery, but doesn’t last much further. Electric only is designed for Italian zero-emission zones, so 30km/h is flat out – useless in the UK, especially with the 11-mile range. The battery takes three hours to recharge from a mains outlet. The MP3 Hybrid isn’t in shops until the end of 2009, but Piaggio’s conventional engines have a patchy reputation for reliability and built quality – breakdowns are common, and they need a fastidious approach to clean to prevent corrosion attacking the cycle parts too. 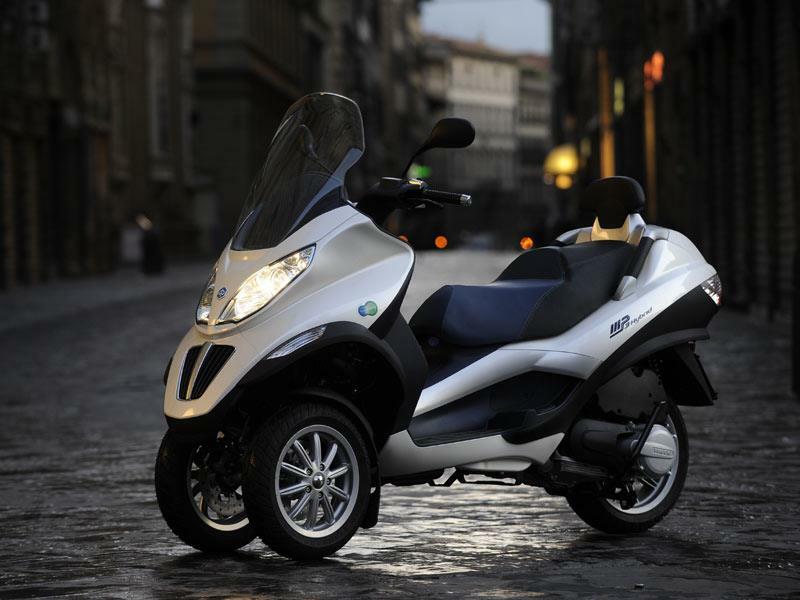 Hopefully Piaggio’s new hybrid parts will prove reliable though. 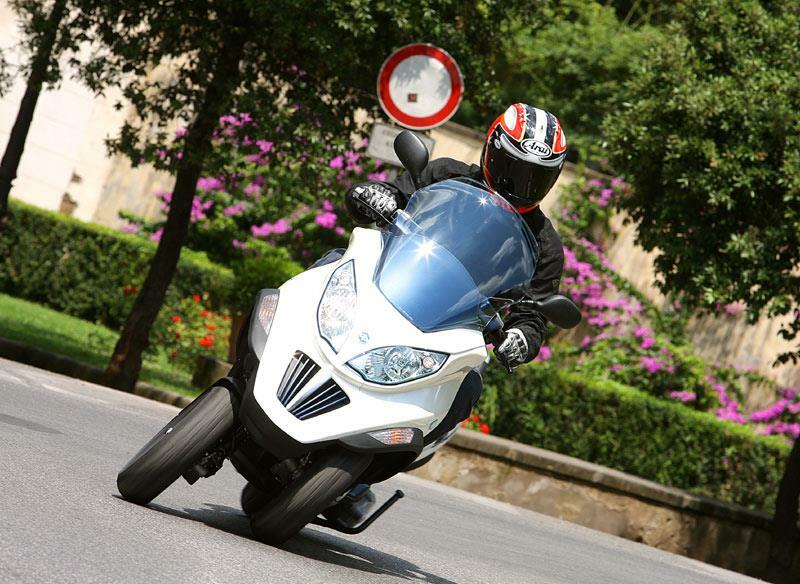 Price is expected to be around £7000 – that’s a lot for a 125cc scooter with lacklustre performance. Piaggio acknowledged that they are only at the start of development for the technology at the launch, and MCN’s view is that the technology can’t offer an advantage just yet – especially in the UK. Wait until Piaggio develops it more. 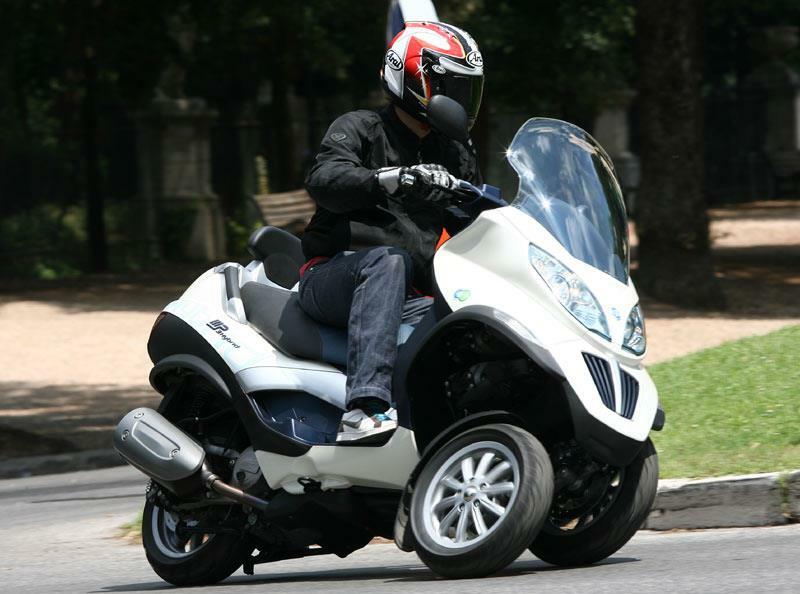 Find a Piaggio MP3 125 for sale. A comfortable seat and riding position, a comprehensive dash and a boot that will take a helmet provides much of what a commuter rider needs – Piaggio have an accessories list that adds further practicality if you want it. The batteries have cut in to the underseat storage – conventional MP3s have space under the seat as well as the cubby hole in the tail. Compare and buy parts for the Piaggio MP3 in the MCN Shop. 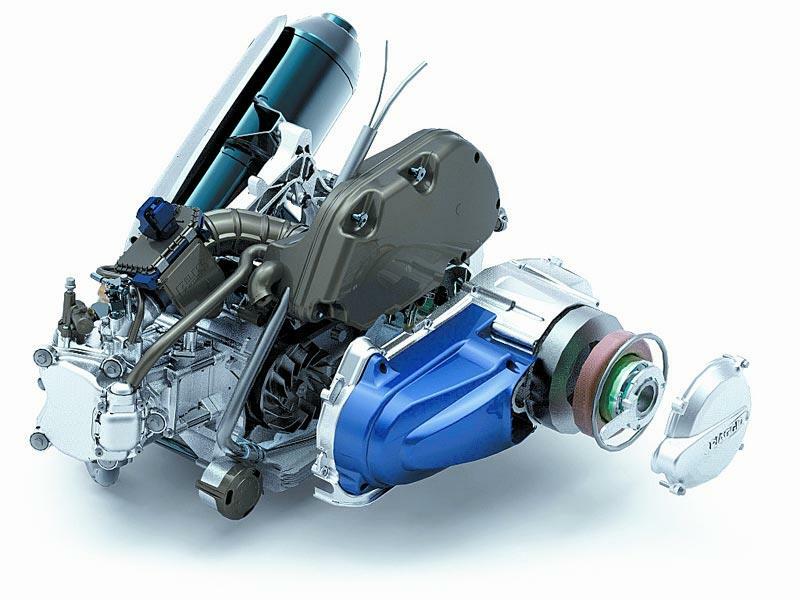 Engine type 4v, DOHC, liquid-cooled single cylinder plus brushless permanent magnet electric motor. CVT transmission. 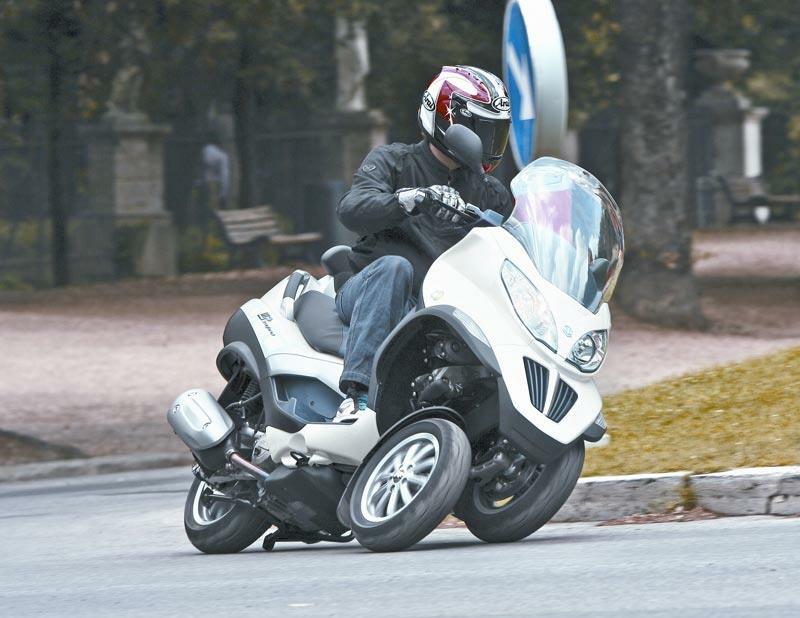 No owners have yet reviewed the PIAGGIO MP3 HYBRID 125 (2009-on).